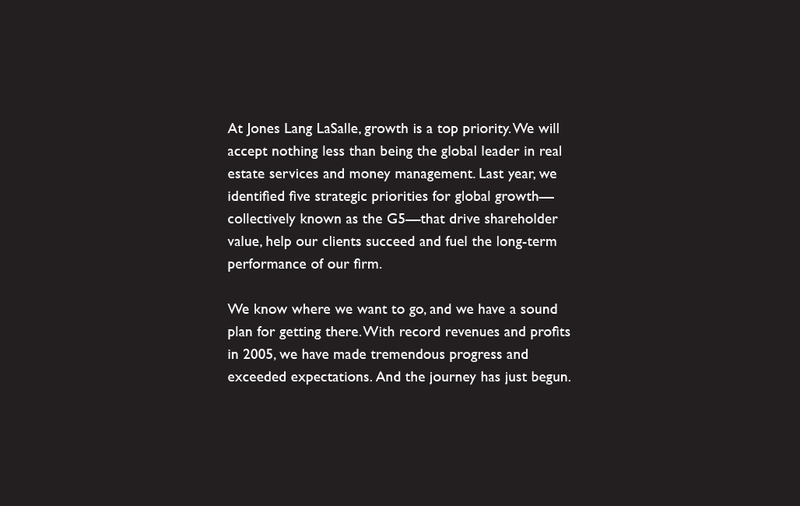 In 2005, JLL’s CEO boldly outlined five global objectives to propel the company’s growth. Our job was to first bring the objectives to life in the company’s annual report. To achieve this, we rewrote the company’s internal-speak around the five objectives to better communicate to the important, external annual report audience. To add substance, we uncovered client case studies and JLL achievements in markets throughout the world.